James Bond island tour Natural Park fees already included in the price. 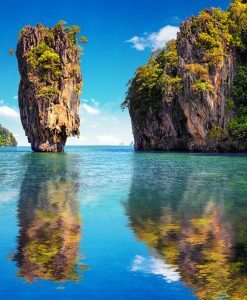 James Bond island tour, a full day trip tour from Phuket. 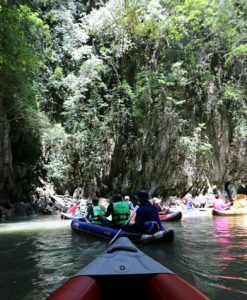 James bond island tour by speedboat is always one of the best island tours in Phuket. 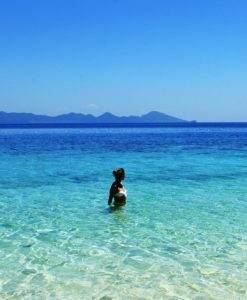 It is a must see in the region and one the most wonderful landscapes you will ever see! James Bond island by Speed boat brings you to discover one of the Phuket best tours, James Bond Island where the James Bond movie Man with The Golden Gun Was filmed in 1974, located in the Phang Nga National Park which has most spectacular scenery which was also used to shoot some helicopter scenes in the movie Jurassic Park. 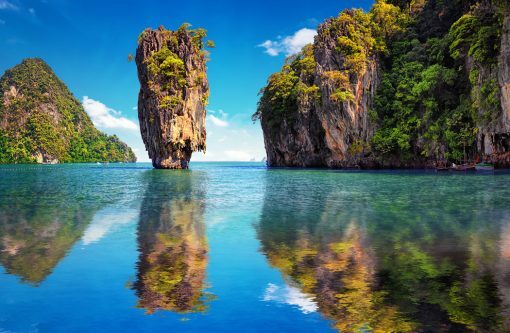 James Bond island tour brings you where secret lagoons open into the rocks to meet the amazing majestic caves, this trip is highly recommended to get a true picture of Thailand nature and shoot amazing pictures. James Bond island by speedboat. 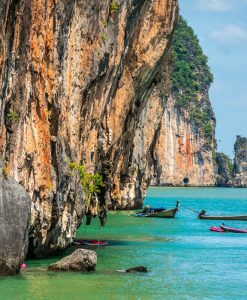 Enjoy all this inclusions with James Bond island tour package such as transports from you departing point to the pier and back, soft drinks, coffee and tea, drinking water ,buffet lunch, natural park fees! Life jacket, tour guide, insurance. 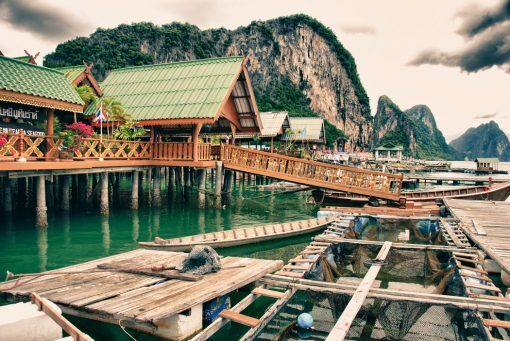 Enjoy sightseeing at Panak island and Hong island, canoe in mangroove forest at Hong island, visiting James Bond island and Khao Ping Kan, enjoy a great buffet lunch at Panyee island fisherman village, explore the ice cream caves and swimming and relaxing at Naka or Lawa island! 7.30 AM – 8.00 AM: Transportation. 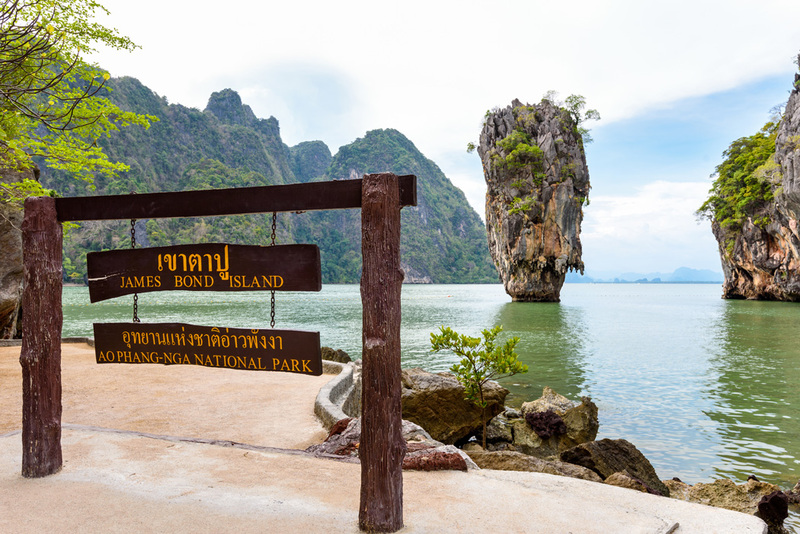 James Bond Island tour starts with pick up from your hotel and transfer to Ao Por Pier. 08.30 AM – 3.30 PM: Canoeing and sightseeing, meals and relax. Briefing and free soft drinks and departure to Phang-nga bay to start your James Bond island tour. 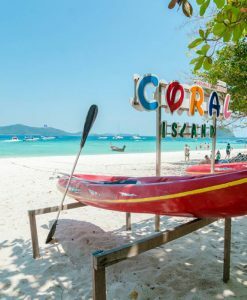 Enjoy sightseeing with James Bond island by Speed boat at Panak island and Hong island, canoe in mangroove forest at Hong island, visiting James Bond island and Khao Ping Kan, enjoy a great buffet lunch at Panyee island fisherman village, explore the ice cream caves and swimming and relaxing at Naka or Lawa island. 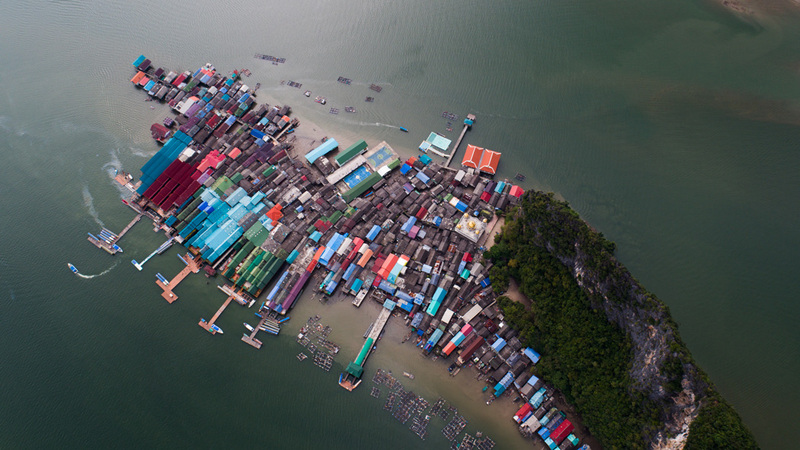 3.30 PM – 5.00 PM: Return arrival time to the pier and organizing your transfer back to your Hotel. DEPARTURE TIME: 7:30 – 8.00 AM. Meet driver at your Hotel lobby. RETURN TIME AT HOTEL: Approximately 5:30 PM. 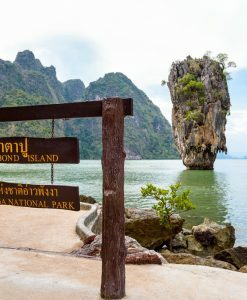 James Bond island tour. The itinerary and timing of all James Bond Island tours are approximate and may be modified without notice to fit the tide and local weather conditions. 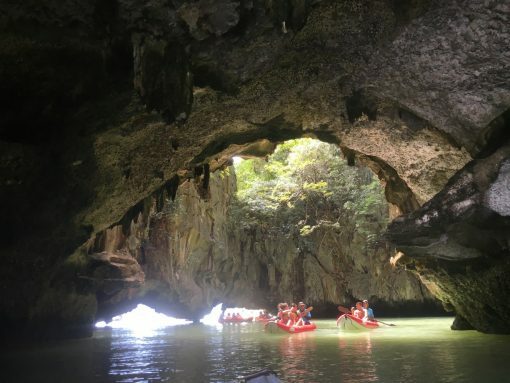 James bond island tour: if above tour does not meet your requirement and you wish to customize your own tour, please feel free to contact us and tell us your preference. 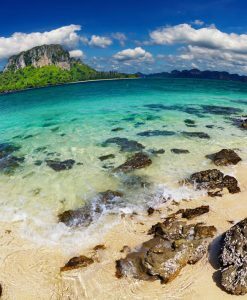 We will do our best to provide the best service we can on best island tours in Phuket and James Bond Island tours. 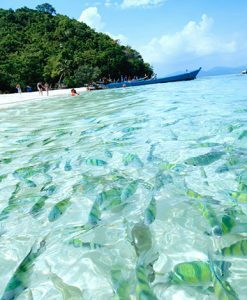 We availed their Sunrise phiphi tour on the first day and it was very nice. The pickup van was on time and the tour was amazing. Also we booked this James bond and expected a good trip. 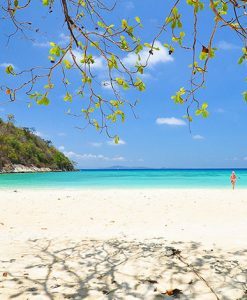 It was all fun holiday with Mythailandtours and thank for the good service! 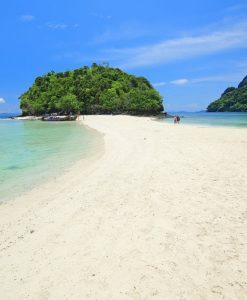 Booked day trips ,James Bond and Coral Island from Mythailandtours . The team are on time and services were all quite good .will recommend to my friends . all on time , everything on schedule and I must say it was all around good nice service cause the staff on boat really take care of you ! ! Excellent and prompt service and responses from the website . Rate is reasonable and staff is nice, helpful and friendly ! 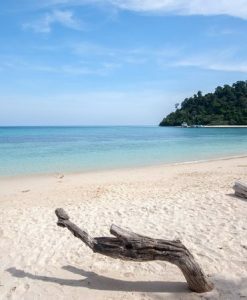 Booked two tours through this website and one was this James bond tour ,also a city tour of Phuket. Would recommend! all on time , all around good service ! 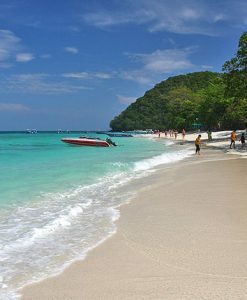 WE Booked 2 things with mythailandtours james bond excellent city tour excellent shopping tour ! We booked this tour and Phi Phi Island tour by speed boat . Their service is awesome . I will recommend this tour to others . It was for sure one of the best trip of my life and the best sightseeing tour I ve done, Captain of the boat was so friendly and actually the whole staff was very cooperative. 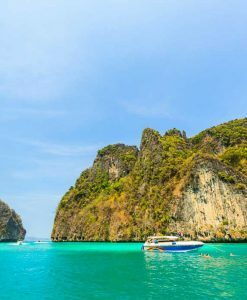 I have booked with mythailandtours this speedboat tour and I truly wish I had booked more. We had our tour company meeting (30 pax) and all it went soo smooth and well ,I must thank tour guide we had who took care of us ! free pick up at the hotel was great .. Enjoyed my James bond tour at such a reasonable cost. This company is really great. the website responded fast to me not only on chat and the staff seems extremely friendly. Their prices are the best. 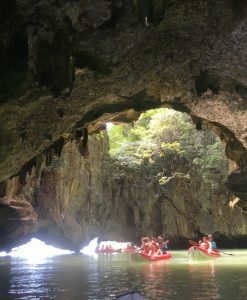 We booked the speedboat tour to James Bond Island with My Thailand Tours online. 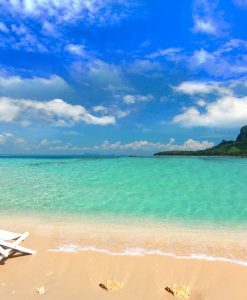 the tour guide was funny and a high light of the tour .The beach at last stop clean with nice water and also good deck chairs with umbrella at 150 Baht for 2 . I highly recomment this company. Our first trip to the Bay. We had a wonderful day, both the sight seeing and the staff on board with us were very surprising and all positive. Beautiful views all day and we hade really good customer service. The beach at the end of the tour was beautiful too, the tour it’s all worth the money because the scenery is incredible!!! Great day outside. The excursion company took care people by collecting us out of our hotel, providing food and refreshments all through the excursion, It really is a wonderful and worth every penny adventure! My children had a fantastic time and revel in the ability. The itinerary has been well intended and everyone’s attention is being thought about. Tour leader maintained the trip fun in any way times. I had an excellent time with this excursion. The full excursion has been pretty organized and also the pickup was punctually. It is rather well worth it to the purchase price. What’s good and moving smooth. The tour guide is indeed funny and earn a visit happening. The foodstuff too yummy. I am rather satisfied in any way. 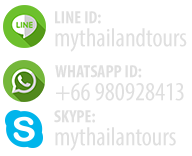 This can be the ideal internet site must see once you desire to earn a online booking. Great trip to do on time we select. All the canoeing has been awesome. The food also has been great. 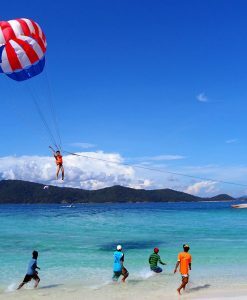 This is must do action when it Phuket. Tour was amazing, the activity of kayaking has been the part that is amazing. This day excursion is highly recommended by us! The team of the tour, our crew guide and all of the areas and the day actions from this afternoon were really unforgettable. 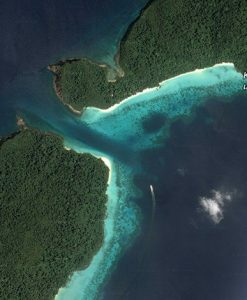 We really liked every single place and islands we visited. 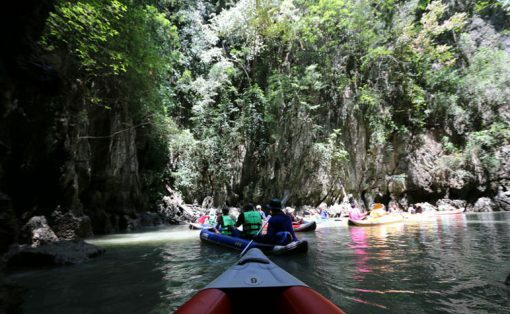 This tour excursion is amazing Kayaking. 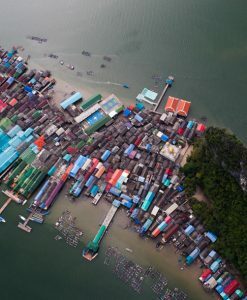 It was Definitely suggested to everyone seeking to see and experience a day in this bay paradise! Fantastic expertise and friendly tour guide. Pick up was little bit delayed but ok. Highly suggested! The trip from this website was quite nice. Nice providers and excursion. I shall recommend my friend. 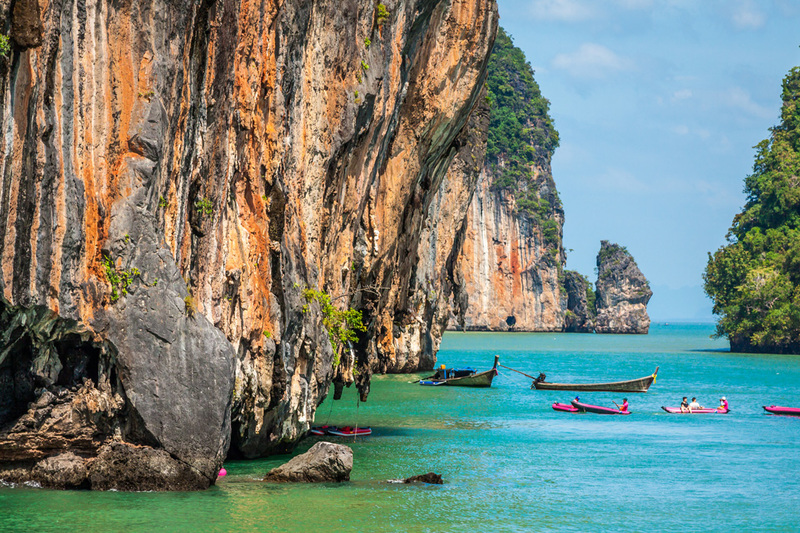 Spectacular bay, do this tour when you are in Phuket! Very nice trip, i can say that the view is amazing. Great food and great customer service. All the staff who do the tour with us are fantastic. They really take care and pay attention to the details. Great food and great customer service. Very good team and a perfect day for the tour! Jordan. Group of 4. This tour will be always in my wish list . I will enjoy it again that’s a sure thing. 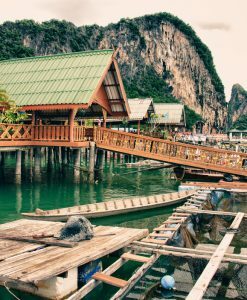 Super nice places to see and Phang Nga is so icredible. Me and friends. really cool day, we got a cloudy sky but it did not matter anyway cause all the tour was really nice and the landscapes are ridiculously wonderful. 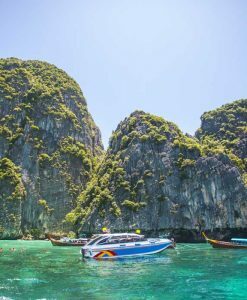 This tour zoomed around different islands in Phang Nga Bay, with really nice speedboat, the panorama and the islands are really worth to see and worth hundreds of pictures.